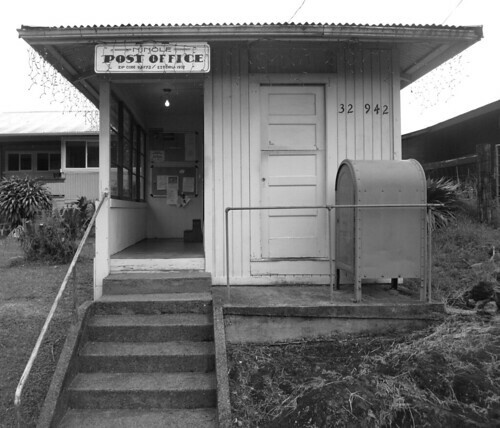 Post Office, Ninole, originally uploaded by Eric Jeschke. Still has the Christmas lights up. Maybe two or three people can stand abreast inside it. Ninole also has a tiny church and a tiny hongwaji.